This is a Telugu name; the family name is Nandamuri. Nandamuri Balakrishna, also known as NBK and Balayyababu or simply Balakrishna, is an Indian film actor and politician known for his works predominantly in the Telugu cinema. He is the sixth son of Telugu film actor and former Chief Minister of Andhra Pradesh N. T. Rama Rao. He entered the film industry as a child artist at the age of fourteen with the film Tatamma Kala (1974). Known for his high concept, high voltage entertainers and extraordinary dialogue delivery, he has acted in more than a hundred feature films in varied roles. Balakrishna received a breakthrough as an actor in 1984 through films such as Sahasame Jeevitham, the social problem film Janani Janmabhoomi, and Mangammagari Manavadu. He has thus far achieved commercial success through the 1990s in films including Apoorva Sahodarudu (1986), Muvva Gopaludu (1987), Muddula Mavayya (1989), Nari Nari Naduma Murari (1990), Lorry Driver (1990), Rowdy Inspector (1992), Bangaru Bullodu (1993), Bhairava Dweepam (1994), Peddannayya (1997), and Samarasimha Reddy (1997), all of which fetched him accolades. On the other hand, Balakrishna is known for his works in biographical films, historical films and hagiographical films. He played poet Vemulawada Bheemakavi in Vemulawada Bheemakavi (1976); Abhimanyu in Daana Veera Soora Karna (1977); Jahangir in Akbar Salim Anarkali (1979); Narada in Sri Tirupati Venkateswara Kalyanam (1979); Sidda in Srimadvirat Veerabrahmendra Swami Charitra (1984) which was screened at the Moscow Film Festival; Krishnadevaraya in Aditya 369 (1991) which was screened at the International Film Festival of India; Satya Harischandra and Dushyanta in Brahmashri Vishwamitra (1991); Lord Krishna and Arjuna in Shri Krishnarjuna Vijayam (1996); Pundarika in Pandurangadu (2008); and Lord Rama in Sri Rama Rajyam (2011) which received special mention at the International Film Festival of India. In his 100th film, he essayed Gautamiputra Satakarni, second-century ruler of the Satavahana Empire in the epic war film Gautamiputra Satakarni (2017). The film was subsequently dubbed into Hindi and Tamil. The film was screened at the first "Edinburgh Festival of Indian Films and Documentaries". Balakrishna has received three state Nandi Awards for Best Actor for his works in Narasimha Naidu (2001), Simha (2010), and Legend (2014). In 2014, he received the South Indian International Movie Award for best actor for his work in Legend. Balakrishna was the chief guest for the 43rd International Film Festival of India. Balakrishna is the Chairman of Basavatarakam Indo-American Cancer Hospital and Research. He is an elected member of the Andhra Pradesh Legislative Assembly of Hindupur. Balakrishna was born in 1960 in Chennai (then Madras), Tamil Nadu to Telugu actor and three-time former Chief Minister of Andhra Pradesh Nandamuri Taraka Rama Rao and his wife Basavatarakam. As the Telugu film industry was based in Madras at the time, he spent his entire childhood in Madras. During his adolescence, he moved to Hyderabad following the shifting of the Telugu film industry to that city. He earned a bachelor's degree in commerce from Nizam College, Hyderabad, Telangana. In 1982, at the age of 22, he married Vasundhara Devi. In 1974, Balakrishna acted as a child artist in Tatamma Kala, which was directed by NTR. He acted in several films, many of which were directed by NTR. Out of which Dana Veera Soora Karna, Sri Madvirata Parvam, Akbar Salim Anarkali and Sri Tirupati Venkateswara Kalyanam became memorable films in his film career. His roles as Abhimanyu in Dana Veera Soora Karna, Sri Madvirata Parvam and Salim in Akbar Salim Anarkali and Saint Narada in Sri Tirupati Venkateswara Kalyanam are highly praised. At the age of 16, he acted in a movie titled Annadammula Anubandham, a remake of Dharmendra's Hindi movie Yaadon Ki Baaraat. In this film, he played a brother to his real life father NTR. Balakrishna appeared as son to his real life brother Nandamuri Harikrishna in the movie Dana Veera Sura Karna. In 1984, Balakrishna debuted in a hero role with Sahasame Jeevitham. Even though he acted in several films named as N. T. Rama Rao's son, later his hard work, discipline, talent and dedication facilitated his success. He then starred in the drama film Mangammagari Manavadu in 1984, alongside Bhanumathi and Suhasini, directed by Kodi Ramakrishna. The film was a blockbuster at the box office. In the same year, he acted in Kathanayakudu and in the biographical film Shrimad Virat Veerabrahmendra Swami Charitra. Both films did well at the box office. Again, his role as Siddhappa in Shrimad Virat Veerabrahmendra Swami Charitra was critically praised. This movie was directed by his father NTR. He also appeared in K. Viswanath's directorial Janani Janmabhoomi in 1984, which was a critical success. In 1985, he acted with Akkineni Nageswara Rao in the film Bharyabhartala Bandham, alongside Rajani, which was a moderate success. In 1986, he acted in movies such as Muddula Krishnaiah, Seetharama Kalyanam, Anasuyamma Gari Alludu and Deshoddharakudu, which gradually increased his potential at the box office. In 1987, Balakrishna acted in a dual role in the film Apoorva Sahodarulu, directed by K. Raghavendra Rao, which was a box office success. In that year he had six successful films in a row. In the same year, he starred in President Gari Abbai, directed by Tatineni Rama Rao and Muvva Gopaludu, by Kodi Ramakrishna. Bhargava Ramudu, which is made from a novel, alongside Vijayashanti was a success at the box office. His other films like Inspector Pratap, Bharatamlo Bala Chandrudu, Tiragabadda Telugubidda, Raktabhishekam were also critically and commercially successful at the box office. In 1989, he paired with Vijayashanti in Muddula Mavayya directed by Kodi Ramakrishna. Bhale Donga alongside Vijayashanti and Sharada was also a success at the box office. In 1990, he acted in Nari Nari Naduma Murari, directed by A. Kodandarami Reddy, alongside Shobana and Nirosha. The film was a box office success. In the same year, he appeared in B. Gopal's Lorry Driver, opposite Vijayashanti. Talli Tandrulu with him alongside Vijayashanthiwas again a success at the box office. In 1991, Balakrishna acted in a science fiction film Aditya 369, directed by Singeetam Srinivasa Rao. A sequel, tentatively titled Aditya 999, has been planned but not yet confirmed. [verification needed] This was the only science fiction film in Telugu cinema during that period of time. He then had two releases in 1992, Dharma Kshetram and Rowdy Inspector, directed by B. Gopal. In the year 1993, he had two releases on the same day, which are Nippu Ravva, alongside Shobana, Vijayashanti, directed by A. Kodandarami Reddy, Bangaru Bullodu, alongside Raveena Tandon and Ramya Krishna, directed by Ravi Raja Pinisetty. His next appearance was a folk role in Bhairava Dweepam in 1994, directed by Singeetam Srinivasa Rao. The film was a critical and commercial success and one of the milestones of his acting career. In Brahmarshi Viswamitra, directed by his father, he played as Satya Harischandra and Dushyanta. Between 1994 and 1999, he acted in movies such as Bobbili Simham, Vamshanikokkadu, Peddannayya and moderate successes such as Muddula Mogudu, Maato Pettukoku, Raana and Pavitra Prema. In the year 1999, he acted in B. Gopal's action film Samarasimha Reddy, opposite Simran and Anjala Zhaveri. In 2000, Balakrishna acted in Goppinti Alludu, directed by E V V Satyanarayana with Simran. The film performed well at the box office. In 2001, he starred in the B. Gopal-directed faction film Narasimha Naidu, opposite Simran once again. The film broke several box office records and it completed 100 days in as many as 109 centres in the state and neighbouring states and had a silver jubilee in a record 17 centres. The film became the highest-grossing Telugu film of all time until the record was broken by Chiranjeevi's Indra, which was also directed by B. Gopal. 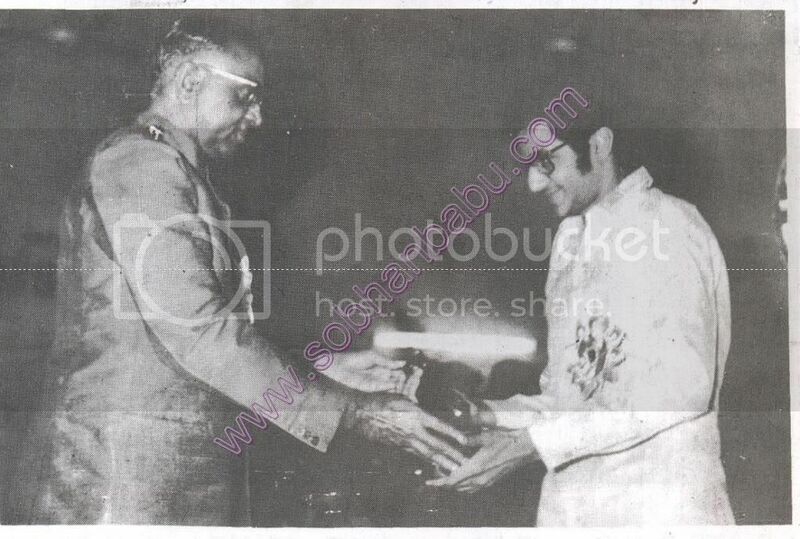 Balakrishna won his first Nandi Award for Best Actor for his performance. In the same year, he appeared in Bhalevadivi Basu with Shilpa Shetty and Anjala Zhaveri, which opened to average reviews. His 2002 and 2003 films include Seema Simham and Chennakeshava Reddy. The former received unfavourable reviews and was a box office flop, but the latter one was critically and financially successful. In 2004, he performed in a remake of the 2003 Tamil film Saamy, titled Lakshmi Narasimha, with Asin Thottumkal. The film and Balakrishna's performance won critical acclaim and was a financial success. During the period, he also announced plans to act and direct in the remake of Nartanasala, and a launch event was held in Hyderabad during March 2003. Produced by Pusapati Lakshmipati Raju, the film was announced to have an ensemble cast also featuring Soundarya, Srihari, Saikumar, Uday Kiran and Asin in lead roles. However, despite a grand launch, the film was later shelved following the sudden demise of Soundarya. The years from 2005 to 2009 saw a lull in Balakrishna's career. Action-drama flicks such as Vijayendra Varma, Veerabhadra, Allari Pidugu, Okka Magadu and Maharadhi bombed at the box office. He paired with Sneha and Tabu in the mythological movie Panduranga (2008), directed by K. Raghavendra Rao. He played the dual roles of Krishna and Panduranga. Rediff described his performance as "Balakrishna does justice to both the roles of God and Ranga. He shines in the climax of the movie. It's quite a task to step into NTR's shoes, but his son has done pretty well, though one does miss NTR in the role of Krishna!". The film was an average success and his performance won him the Santosham Best Actor Award. In the year 2009, he starred in the family drama Mithrudu, alongside Priyamani in a slightly different role – that of a dependable friend and confidante to the female lead. The film opened to average reviews. In 2010, Balakrishna acted in Boyapati Srinu's film Simha, alongside Nayantara and Sneha Ullal. He played a dual role as father and son. The film opened to positive reviews, and went on to become the highest-grossing film of the year. A review in Rediff said about his performance: "Balakrishna has put in a restrained performance. Though his character is supposed to roar at times, he seems subdued most of the time. But he's given plenty to be pleased about as it is his show all the way." In 2011, he acted in a mythological film Sri Rama Rajyam, based on the epic Ramayana. He played triple role in the 2012 action drama Adhinayakudu, making him the first actor to play three different roles as a grandfather, father and grandson on the big screen. In 2014, he acted in Boyapati Srinu's film Legend, alongside Sonal Chauhan and Jagapati Babu. He played the title role in the biographical and historical film Gautamiputra Satakarni, his 100th film. The film is directed by Krish and is based on the life of the 2nd century ruler of the Satavahana Empire, Gautamiputra Satakarni. In 2018, he acted in Jai Simha movie, which was directed by K. S. Ravikumar. In 2018, he started shooting for NTR biopic in which he reprised the role of NTR himself. The film was made in two parts. The first part released on 9 January 2019 and the second part is set to release on 22 February 2019. Ever since the Telugu Desam Party formation, Balakrishna always campaigned for it in every election, but never entered the electoral battle. He went on a vacation to his father-in law Devarapalli Suryam's house. During the vacation, he went on a political campaign for TDP all over East Godavari district and made a victory for TDP. After coming to know about this, NTR said that the East Godavari victory is completely Balayya's victory. He contested in the 2014 Andhra Pradesh Legislative Assembly elections on behalf of TDP and won the Hindupur Assembly Constituency seat with a reasonable majority. Hindupur, in Anantapur district, has been a TDP stronghold since 1983. It was once represented by NTR himself and later for a term by his elder son Nandamuri Harikrishna and Balakrishna will be the third from the family to represent the State Assembly. The Goa Governor, B.V. Wanchoo, the Chief Minister Manohar Parrikar and Balakrishna were seen along with award winners and other dignitaries at the closing ceremony of the 43rd edition of the IFFI. Balakrishna, in his speech, said that although the Telugu film industry finds no place in the film festival by way of representation to its films, 80 percent of the movies that are produced in India are in regional languages, out of which 50 percent are from South India. "Today, film industry is facing competition from radio, and television as also from piracy," he stated. He also maintained that the film festivals have enlarged his vision towards his career. Balakrishna was involved in a shooting controversy. The incident took place on 3 June 2004 around 8:50 PM at Balakrishna's residence in Jubilee Hills, Hyderabad, when Balakrishna allegedly fired shots at producer B. Suresh and his associate, Satyanarayana Chowdhary. Later, both the wounded were admitted into Apollo hospital. The circumstances under which the case was handled led to much controversy as purported by the Human Right Forum (HRF). The HRF questioned the authenticity of people who handled the case, and the circumstances under which Balakrishna was shielded from police by giving refuge in Care Hospital without any justifiable cause. The two victims gave statements before the magistrate, alleging that Balakrishna fired shots at them, but later retracted their earlier statements. Balakrishna was later arrested on 6 June and produced before Fifth Metropolitan Magistrate. A show cause notice was also served on Balakrishna's wife Vasundhara Devi as the weapon used was licensed under her name, and she could not give sufficient protection to her weapon. Later, Balakrishna was granted bail on conditions that he should not leave Hyderabad without Court's permission and to surrender his passport. In march of 2016, he made comments at a movie function that were alleged to be vulgar by a certain section. He said his fans wouldn't accept if he just played eve-teasing roles and followed girls. They would expect him to either kiss them(girls) or make them(girls) pregnant. He drew severe criticism for these remarks for which he had to tender an apology later. Samman Award – Highest taxpayer in the charge of Commissioner of Income Tax. A.P. CINE Goers Association Best Actor Award – Narasimha Naidu Chennakesava Reddy and Pandurangadu. ^ "Balakrishna meets Amitabh Bachchan on the sets of Sarkar 3". The Times of India. 20 October 2016. Retrieved 17 December 2016. ^ "Balayya has a fruitful meet with KCR". The Hindu. Retrieved 17 December 2016. ^ "NT Balakrishna-'Sonrise' in the TDP". Rediff. Retrieved 4 March 2009. ^ Kavirayani, Suresh (24 April 2011). "Balayya is a beaming daddy". The Times of India.com. Retrieved 24 April 2011. ^ "Page Not Found". tupaki. ^ a b c "Adhinayakudu will be biggest hit: Producer – Telugu Movie News". IndiaGlitz. 12 December 2011. Retrieved 17 November 2012. ^ a b "'Gautamiputra Satakarni' launch live update: KCR, Chiranjeevi, Venkatesh at Balakrishna's 100th movie opening [PHOTOS+VIDEOS]". Retrieved 19 July 2016. ^ a b "Nandi Awards 2014". ^ "NBK and NKR team up". Times of India. 19 August 2008. Retrieved 19 August 2008. ^ Prakash Kamat (1 December 2012). "Today's Paper / NATIONAL : Curtains down on IFFI extravaganza". The Hindu. Retrieved 6 December 2012. ^ "Indus Cancer – Best Cancer Hospital in India". induscancer.com/. ^ "Happy Birthday Balakrishna". indiaglitz. Archived from the original on 11 June 2008. Retrieved 10 June 2008. ^ "Succession war between Naidu, NTR families hots up". Deccan Chronicle. Retrieved 28 May 2011. ^ "Balakrishna meets CM". Retrieved 26 October 2016. ^ "All Time Long Run (In Direct Centers) List". cinegoer.net. 5 December 2006. Archived from the original on 1 May 2015. Retrieved 2 February 2015. ^ a b "Balayya's Bio-Data". ^ "Balakrishna to play hero in Bhargava Arts' film". IndiaGlitz. Retrieved 27 December 2006. ^ Laxmi, Vijaya. "Overconfidence is Palnati Brahmanaidu's downfall". Rediff.com. Retrieved 6 June 2003. ^ "'Photography should not dominate the story'". Rediff. 15 April 2000. Retrieved 17 December 2016. ^ "Films Released in 1992 And Their Box Office Success". cinegoer.com. Archived from the original on 12 October 2007. Retrieved 7 October 2007. ^ "Film industry bids adieu to EVV". Chennai, India: The Hindu. 23 January 2011. Retrieved 23 January 2011. ^ "The Biggest Blockbuster of 2001". CineGoer.com. Archived from the original on 11 June 2007. Retrieved 9 June 2007. ^ "Telugu Actor of the Decade-Nandamuri Balakrishna". MSN. ^ "Movie review – Bhalevadivi Basu". idlebrain.com. Retrieved 15 June 2001. ^ Reddy, Ravikanth (20 January 2004). "Balakrishna's film ahead in box-office battle". The Hindu. Chennai, India. Retrieved 20 January 2004. ^ "Lakshmi Narasimha' ahead!". Sify. Retrieved 17 January 2004. ^ "Opening function of Bala Krishna's Telugu film Naratana saala". ^ "IndiaGlitz – Big movies which got shelved after launch – Telugu Movie News". Retrieved 19 July 2016. ^ "Balakrishna shoots for 'Panduranga'". IndiaGlitz. Retrieved 23 October 2007. ^ Rajamani, Radhika. "Pandurangadu is refreshing". Rediff.com. Retrieved 30 May 2008. ^ a b "Santhosham Awards Winners List". IndiaGlitz. Retrieved 22 August 2009. ^ Rajamani, Radhika. "Mitrudu has nothing much to offer". Rediff.com. Retrieved 1 May 2009. ^ "AN AVERAGE FARE". Indian Express. Retrieved 16 July 2010. ^ "Simha is for Balayya's fans". Rediff. Retrieved 30 April 2010. ^ "NTR biopic in 2 parts: Kathanayakudu & Mahanayakudu - Times of India". The Times of India. ^ ChennaiDecember 19, India Today Web Desk; December 19, 2018UPDATED:; Ist, 2018 18:54. "NTR biopic Kathanayakudu gets a release date". India Today. ^ "It's confirmed! Rana Daggubati starrer NTR Mahanayakudu to release on February 22, 2019 - South News". www.timesnownews.com. ^ NBK Political Speech @ 1994. 7 February 2012 – via YouTube. ^ "I will work as per party instructions: Balakrishna". Times of India. Retrieved 16 May 2014. ^ "Actor N Balakrishna to contest from Hindupur Assembly seat". Deccan Chronicle. ^ "Mr. Nandamuri Balakrishna". zoominfo.com. Retrieved 11 March 2013. ^ "Actor `fires at' producer". Chennai, India: The Hindu. 4 June 2004. Retrieved 4 June 2004. ^ "Delay in action against Balakrishna deplored". The Hindu. Retrieved 19 June 2004. ^ "Suresh retracts from his statement, says he adores Balakrishna". Outlook India. 8 June 2004. Retrieved 17 September 2017. ^ "Court grants conditional bail to film actor Balakrishna". India Glitz. 26 June 2004. Retrieved 17 September 2017. ^ "'I shot them ...they attacked me ....'". The Times of India. 7 June 2004. ^ "Balakrishna-Nithya Menon bag Nandi Best Actor Awards". Oneindia.in. Retrieved 6 August 2011. ^ "Telugu stars at Cinemaa Awards 2011". NDTV. ^ "Santosham Awards 2010 announced". Yahoo Movies. Retrieved 10 August 2011. ^ "TSR-TV9 film awards winner list for 2011–2012". oneindia entertainment. Retrieved 19 April 2013. ^ "TSR – TV9 awards 2011". idlebrain. Retrieved 10 April 2011. ^ "TSR-TV9 award winners announced". Deccan Chronicle. 16 July 2015. Retrieved 17 July 2015. ^ "Balakrishna wins best actor at SIIMA". 123telugu.com. Retrieved 10 August 2015. ^ "Telugu Cinema Etc - Idlebrain.com". ^ "Bharata Muni awards on August 14". Idlebrain.com. 6 June 2011. ^ "Bharatamuni Awards on 24th". SuperGoodMovies.com. 8 June 2011. Archived from the original on 18 July 2013. ^ "AP Cinegoers' Association 32nd Annual Film Awards – 2001". ^ "Cinema Awards". Chennai, India: The Hindu. 26 August 2003. Retrieved 26 August 2003. ^ "'Make films that appeal to intellectuals, society'". Chennai, India: The Hindu. 14 March 2011. Retrieved 14 March 2011. ^ "Akkineni Abhinaya Puraskaram to Bala Krishna Nandamuri". idlebrain. Retrieved 15 January 2007. Wikimedia Commons has media related to Nandamuri Balakrishna. Balakrishna's Vetagadu Look from 'NTR Kathanayakudu' is Out! This page was last edited on 23 April 2019, at 02:12 (UTC).